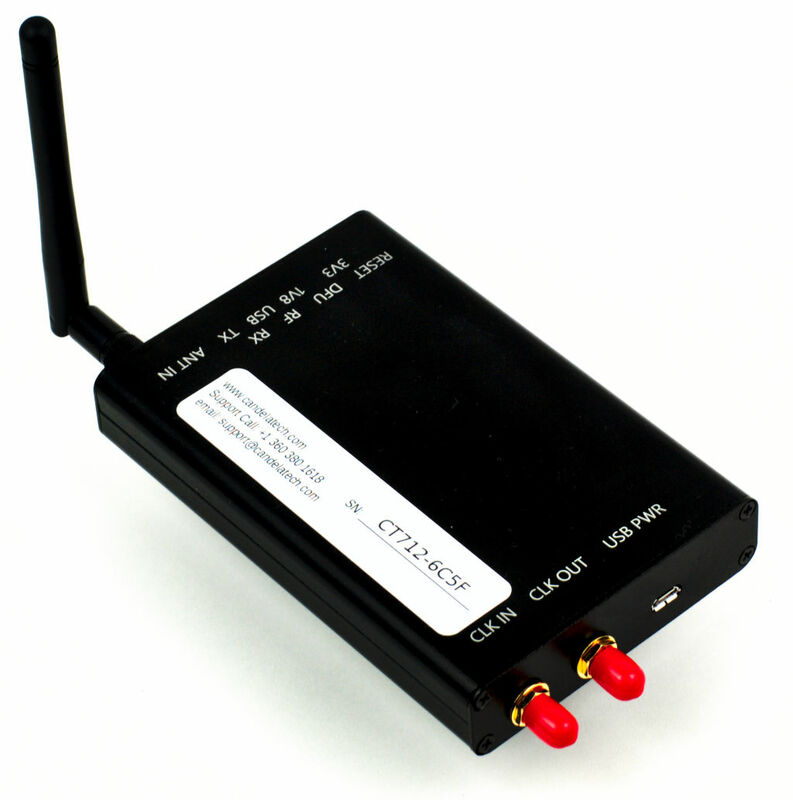 The CT712 RF Noise generator and RADAR Simulator is used for WiFi testing. 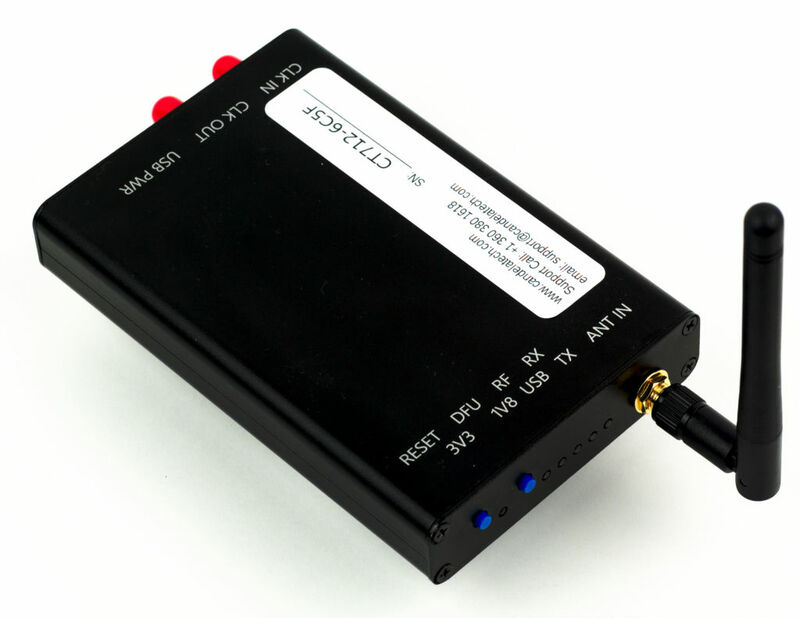 The CT712 uses the HackRF software defined radio to generate micro-second precision bursts of RF Noise. The burst width, burst spacing, and number of bursts are configurable. This can simulate many RADAR bursts and so be used for DFS testing. FCC1-4 is fully supported. ETSI 1,2,3,5 and 6 are partially supported: The minimum configurable pulse with is 1us, and the ETSI spec calls for 0.5us support as a minimum. Chirp waveforms are not supported so FCC5 and ETSI4 are not fully supported. Multiple different pulse widths are not supported in a single run, so FCC5 and ETSI 5 and 6 have further limitations. In addition, this unit can create constant RF Noise to enable testing CCA features in WiFi equipment (you will probably need an RF attenuator as well for CCA testing). It is a test tool, and should be used in an RF Isolation chamber or other area where you will not interfere with legitimate RF Equipment or RADAR devices. The CT712 can support many RADAR types, but not all. It is an affordable tool for basic RADAR signal testing, but it is NOT a replacement for a fully compliant RADAR emulator. The CT712 is controlled by the LANforge software suite, which includes a GUI management tool as well as CLI interface for automated scripting. It may also be driven directly from the Linux command line with a python script. If you do not already have a LANforge Linux system, then you can install LANforge on your own Linux hardware, or you can purchase an additional LANforge Linux system. Contact your sales representative if you have any questions. The CT712 has no moving parts and will fit into a small travel bag or briefcase for easy portability. Install LANforge on Linux PC. Connect RF Noise generator to PC USB port. Connect LANforge-GUI to PC, and go to the RF-Generator tab. Select the noise generator and click Modify. Select the values accordingly and press Apply. Verify RF pattern using RF Analyzer. RF Noise Generator and RADAR signal emulator. In addition to emulating bursty RF noise and RADAR patterns, this tool has proven useful for testing CCA when paired with a variable attenuator and configured for constant noise transmission. It can do a minimum pulse width of 1us. ETSI1-3 and some other RADAR signals define the minimum at 0.5us, so this RADAR emulator cannot test that lower bound of the pulse width. FCC-5 and some other RADAR signals define a modulated chirp and ability to change the chirp bandwidth. The LANforge RADAR emulator does not currently support modulated chirps or the ability to change bandwidth in this manner. It cannot currently support a series of bursts with different PRF. With these constraints in mind, it should have full support for: FCC0 - FCC4, mostly-compliant support for ETSI1-3, partial support for ETSI 5 and 6, and does NOT have support for ETSI4 and FCC5 due to lacking chirp generation features. This specifies the duration (in micro-seconds) for the transmitter to be enabled. The user may type in a specific value, and the LANforge-GUI has pre-set values in pull-down menus for common FCC and ETSI radar patterns. The current hardware supports a minimum pulse width size of 1us. This specifies the time (in micro-seconds) between starting to generate a pulse. This is also known as "Pulse Repetition Interval (PRI)". The user may type in a specific value, and the LANforge-GUI has pre-set values in pull-down menus for common FCC and ETSI radar patterns. This specifies how many pulses to generate before pausing for "sweep time". If you want to pulse continuously, set Sweep Time to zero. This is also known as "Pulses per Burst (PPB)". The user may type in a specific value, and the LANforge-GUI has pre-set values in pull-down menus for common FCC and ETSI radar patterns. This specifies how long to pause (in micro-seconds) between pulse bursts. This emulates Radar sweep time. Set this value to zero for continuous pulsing. Select the frequency on which to generate the RF signal. Generate a single pulse burst and then stop. This allows manual testing with pauses to verify the device under test detected the RADAR properly. 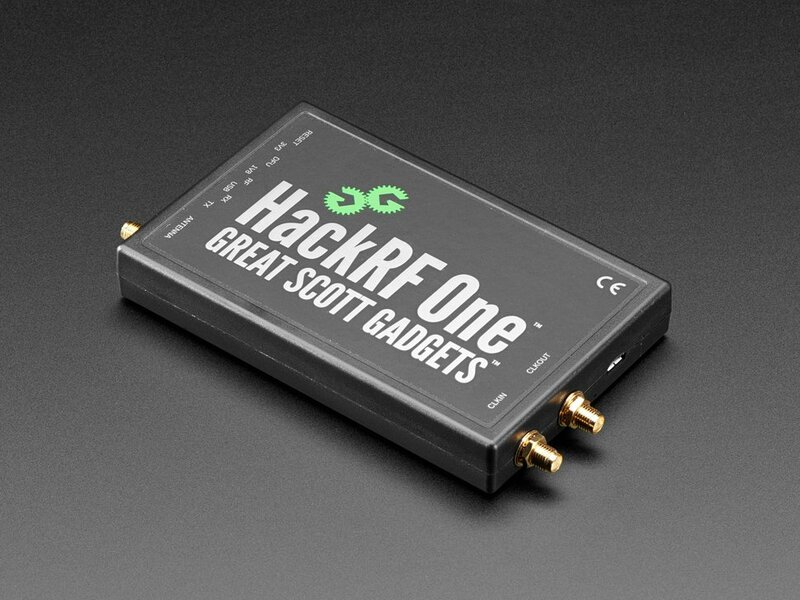 Includes HackRF Software Defined Radio and USB adapter. SMA cables for conductive testing are available but not included in base price. Software licenses for this feature are included with purchase. 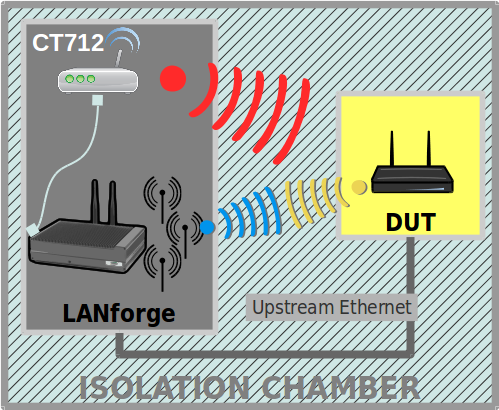 For a more complete WiFi testing setup, you may wish to consider the CT703 Attenuator, CT523 and CT525 series WiFi traffic generators.